I was spending a couple of days with Tom exploring the area between Cromer and Aylsham; he picked me up at Cromer station each morning, and we would do a long loop southwards through Aylsham and back up to Cromer again. At the end of the first day, we came to Roughton, pronounced to rhyme with cow-t'n. 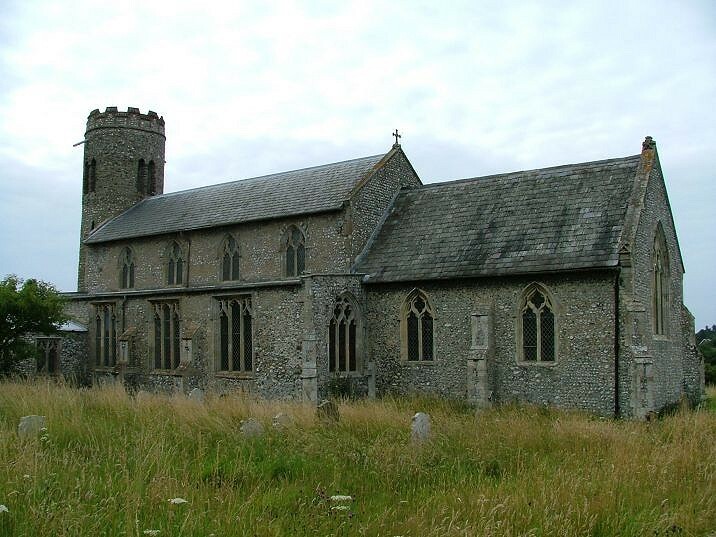 This part of Norfolk can seem very wild and remote, but Roughton will be more familiar to outsiders than most because it is on the main road between Norwich and Cromer. Still, the setting is lovely, the rolling hills covered in woods and a sense of the sea a couple of miles off. 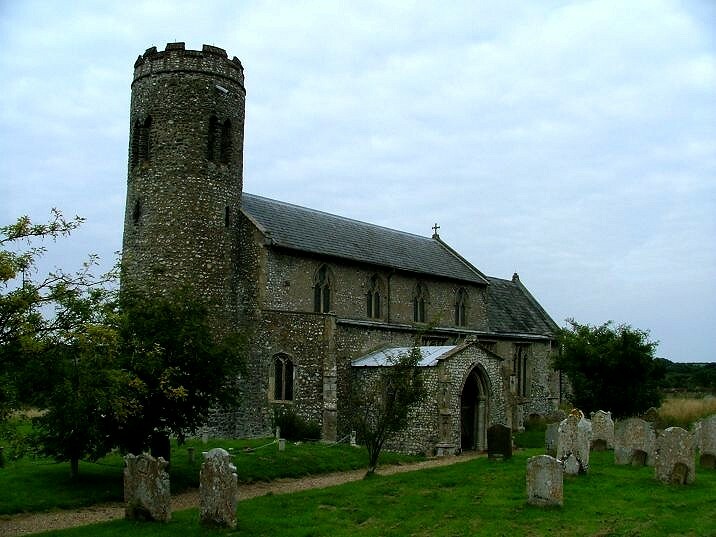 And best of all, St Mary has one of the most ancient of East Anglia's round towers, its Saxon origins revealed by the circular double-splayed windows about ten feet up, and the rugged triangular-headed double bell arches. 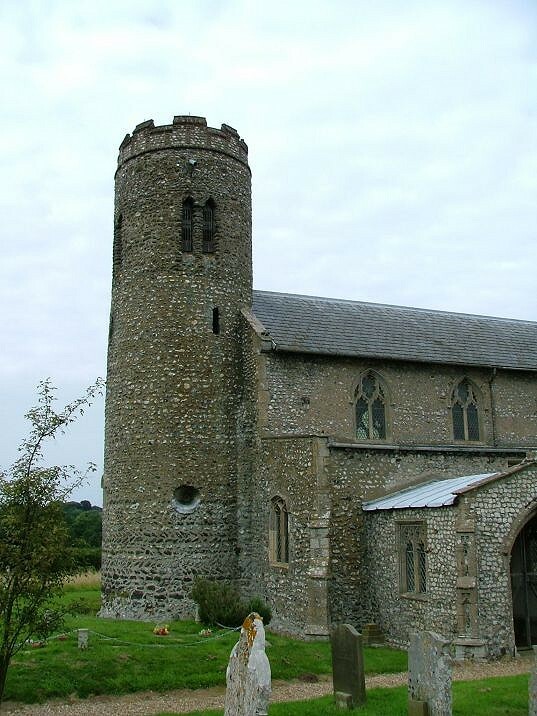 Pevsner tells us that the herringbone pattern of the carstone at the base of the tower is generally regarded as an early Norman technique rather than a Saxon one; but he feels Roughton may be an exception to this. Whatever, it all feels splendidly old. 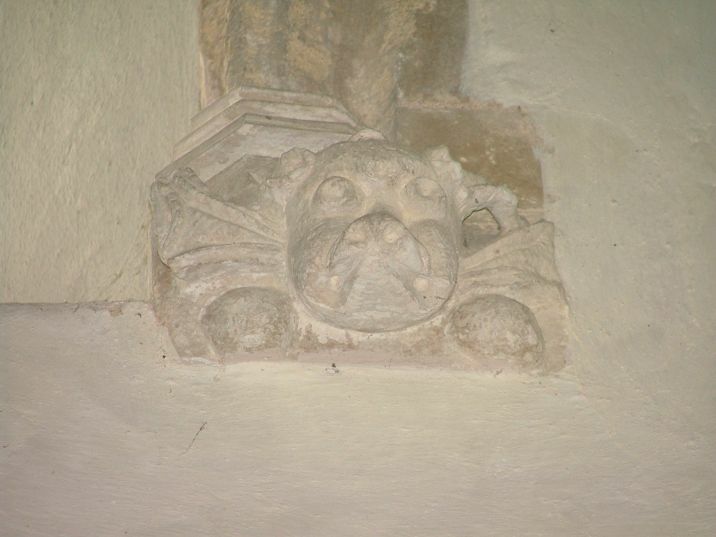 The body of the church is surprisingly big, and gives St Mary a feeling that it is hunching its shoulders. 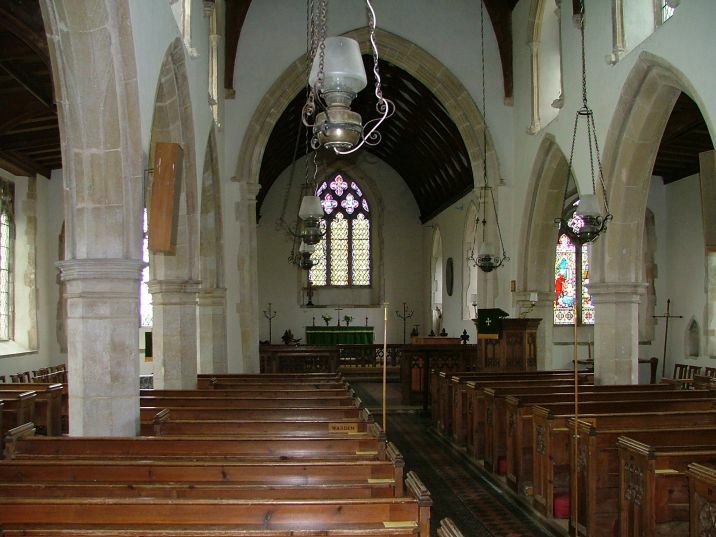 It is typically East Anglian in a different way, a late 14th/early 15th century rebuilding with aisles and clerestory, all overwhelmingly restored by the Victorians. The whole piece is harmonious and pleasant. The interior is pretty much entirely Victorian, with garish tiled floors and pitch pine benches. 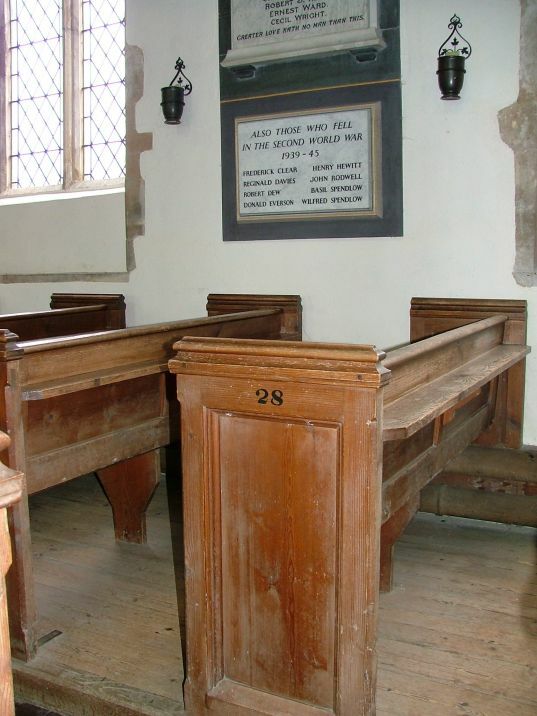 It is not without interest - the benches are numbered, and the churchwarden's seat is marked in clear Victorian lettering. 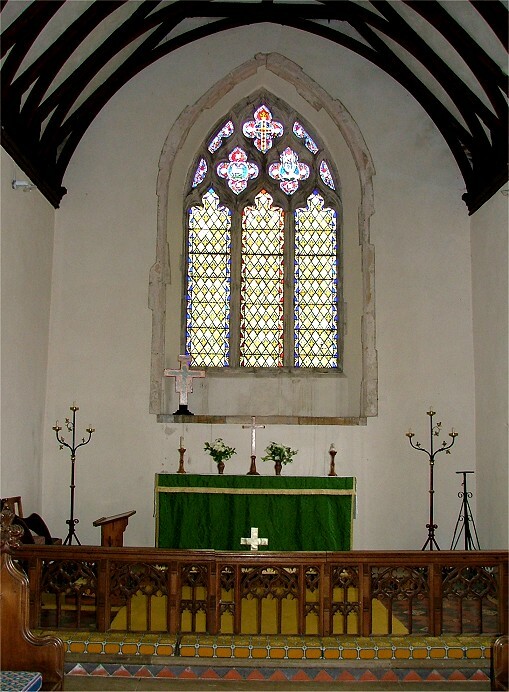 The chancel falls between two stools, I think; it attempts to be grand, but doesn't quite make it, losing in the process the simplicity of, say, neighbouring Metton. 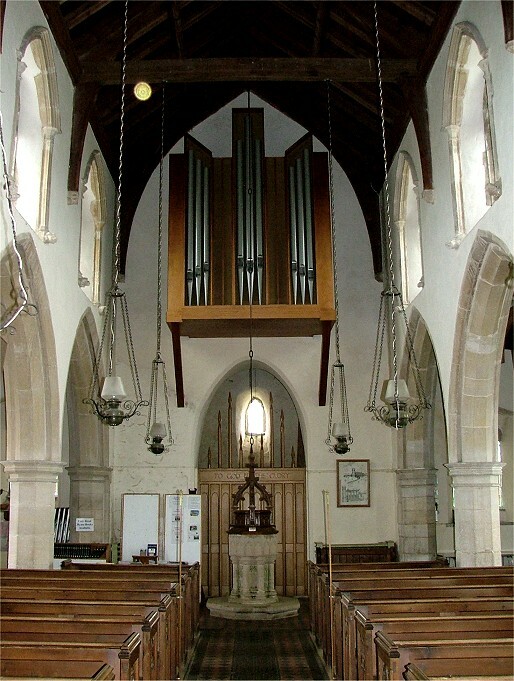 The view to the west is the best thing about the inside; the modern screen and organ case are cool, clean and successful. Are they from the 1980s? They post-date the early editions of Pevsner, because he found a doorway above the arch, and this is now obscured. The tower arch is curious and beautiful, echoed by the tiny west window and completing the perspective. 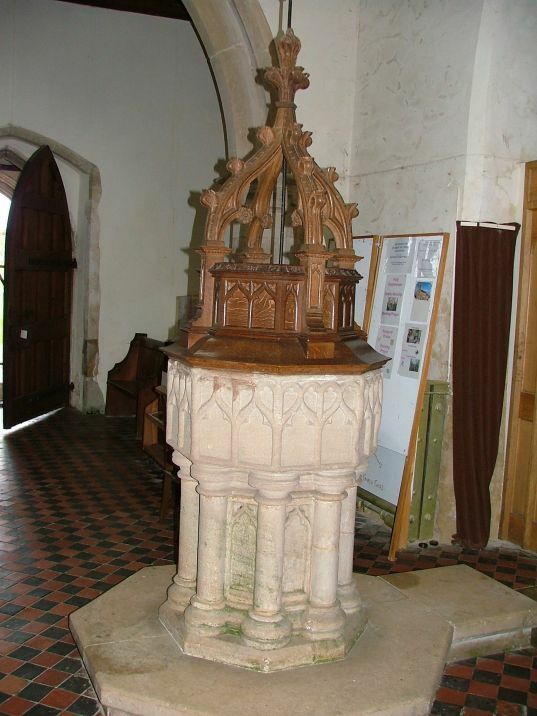 The font is one of those you often find in this part of Norfolk, apparently EE becoming Dec but probably later than that, and, as Mortlock observes, probably part of an off-the-shelf collection rather than anything produced locally. Generally, this is a pleasant interior, and there is no excuse for the glum and glowering faces from the headstops in the clerestory that look down on it all. 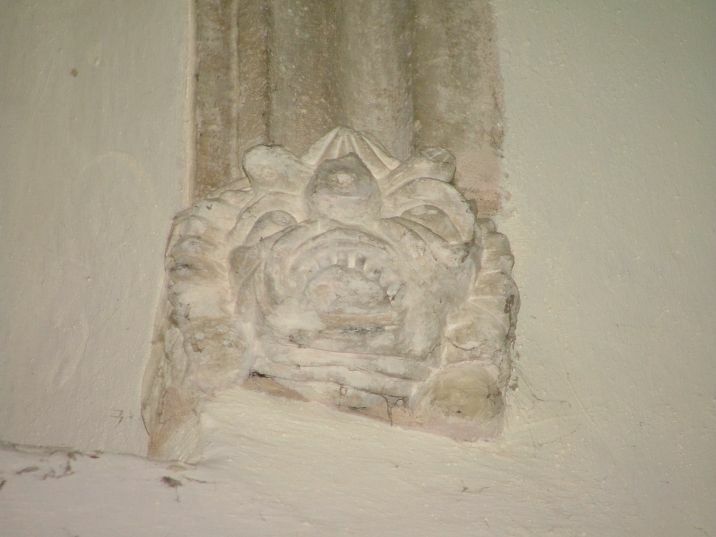 Give us a smile for once!